Place pork spare ribs in the slow cooker, pour apple juice over spare ribs. Sprinkle with half of the taco seasoning the flip spare ribs and season with remaining taco seasoning. Cover with lid and cook on low for 8 hours. 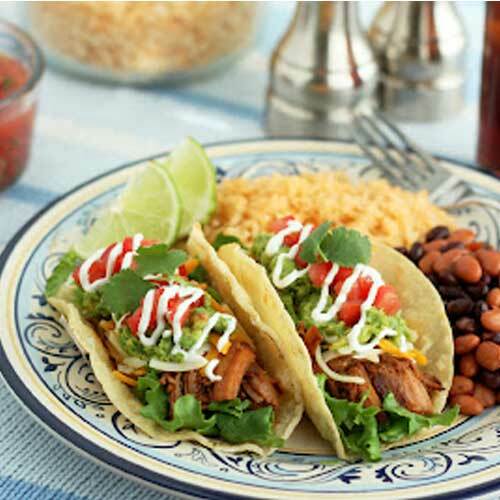 Trim fat from pork and shred, return to slow cooker for an additional 20 - 30 minutes in taco seasoned broth. Strain broth or remove pork with tongs or fork when plating.